DS Bobby Owen and Superintendent Ullyet are on the trail of a renowned fence, one who has always managed to keep his nose clean enough to stay out of prison, but dirty enough to remain on the police radar – not that radar was invented for another three years. But their latest entrapment scheme goes awry – as T.T. Mullins catches the police trying to catch him in possession of a diamond necklace belonging to a movie star that has been stolen from a local jewellers, gunshots are heard from within Mullins’ house. As the police reach the scene, they find a man (unsurprisingly called Mr Jessop, given the title) dying from a gunshot wound. The surprising thing is that Jessop is the jeweller who was earlier robbed. So what was he doing in Mullins’ house? Bobby Owen finds himself investigating not just a murder but a theft as well. Is he looking for one villain or two? 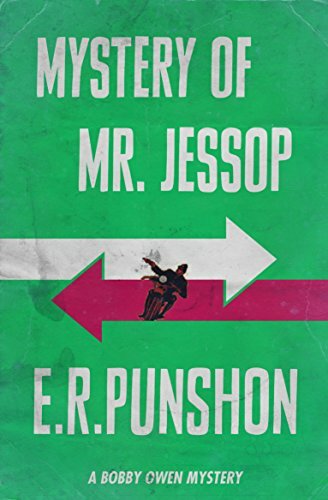 This is the eighth Bobby Owen mystery from E R Punshon, as reissued by the wonderful Dean St Press who have released the back catalogue in its entirety now as ebooks. And this is a complex mystery with some timely (well, 1937-y) politics thrown in – this is another #1937book for Crimes of the Century by the way. But, I’ll be honest, it didn’t exactly grab me as much as the other Punshon’s that I’ve read. And there’s a couple of reasons for that. First off, almost every character (of which there are quite a few) is up to something. Not that that’s a bad thing in a mystery, far from it, but for a long part of the book, there wasn’t a character, apart from Bobby, that I felt that I could sympathise with. The cast is an admittedly distinctive lot, from a Duke and a Duchess, down to the lower echelons of society, but they didn’t really click for me. I love my cats, all three of them. 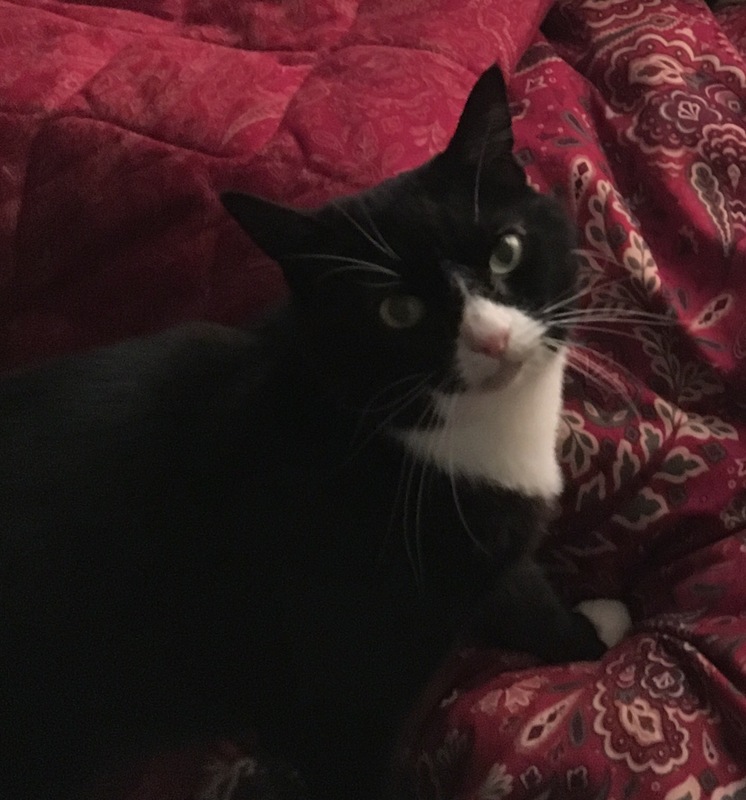 But last Thursday morning (as in 2am in the morning) Carrie decided to zoom round the bedroom, howling, fighting with her sisters and general being a pain. And, rather obviously, waking me up. And I haven’t really had a good night’s sleep since. Things look promising on Sunday morning. I glanced at the clock, at about 6:30, noticed Carrie was happily sleeping on me, started dozing again… and then she hopped off and noisily vomited on the bedroom floor. As such, I been feeling a bit frazzled recently and a complex mystery like this one was probably more than my brain could follow. As for 1937-ness, there’s some discussion of Fascism and Communism, and the similarities and differences therein, as embodied by a character who goes from one extreme to the other before abandoning both. And Bobby at one point speculates (possibly sarcastically) that in one or two elections time, the country could be run by “Bolsheviks”. Awww hope your cat is back to normal soon. I didn’t realise you had more than one cat. What are the other two called? haha well least they are all nice names. I had wondered if you might have given some of them mystery fiction inspired names. I tried doing that with some of my chickens, but it didn’t seem to end well. One called Miss Marple literally disappeared the first night I got her. Ah, nothing like naming and shaming a cat for bad behaviour… although, poor girl, sounds like she wasn’t quite herself! Shame that the book didn’t quite live up to expectations, with or without cat-related incidents. One day, I’ll take another look. I’d love to hear what other, less sleep-deprived, people thought of it. I just discovered Dean Street Press: what treasures they are publishing. I wonder how many times things like cats in the night and generally feeling in a bad mood have made me rate books lower than I should have, or if I am in a better mood, higher than I should have! What is your top Punshon so far? I know the question was not directed at me, but I can recommend you, and the Puzzle Doc, the following Punshon titles: Ten Star Clues, Diabolic Candelabra (only if you like Gladys Mitchell), There’s a Reason for Everything (my personal favorite) and Six Were Present (last one in the series and should not be your first). These are the best one, I’ve read, so far. Thanks TC, these sound great. I have seen a few of your reviews on your blog of late. There’s a Reason for Everything is such a nice title as well.